If you’re not yet familiar with Quality Foods Distributing, it’s time to get hip. With a longstanding history in providing natural and delicious foods, QFD is committed to serving their clients with the best and freshest. Their mission is to serve as the premier distributor of natural, organic, sustainable and locally-produced products across Montana and the Northern Rockies region. They’ll make this mission real by building long-term relationships with our customers, employees, suppliers, and neighbors. 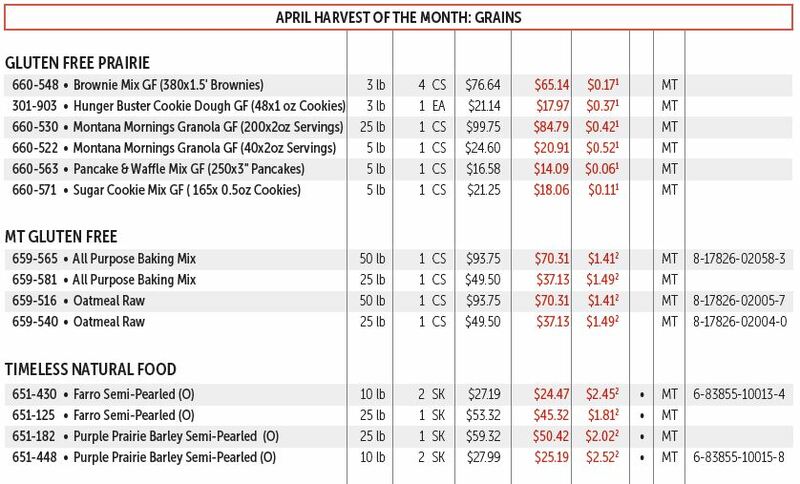 Quality Foods Distributing is embracing Harvest of the Month this spring and has been working with local grains and lentils suppliers to offer some great products with generous discounts, including gluten free mixes for quick prep. Much gratitude goes out to Timeless Foods, Montana Gluten Free Processors and Gluten Free Prairie for their participation.